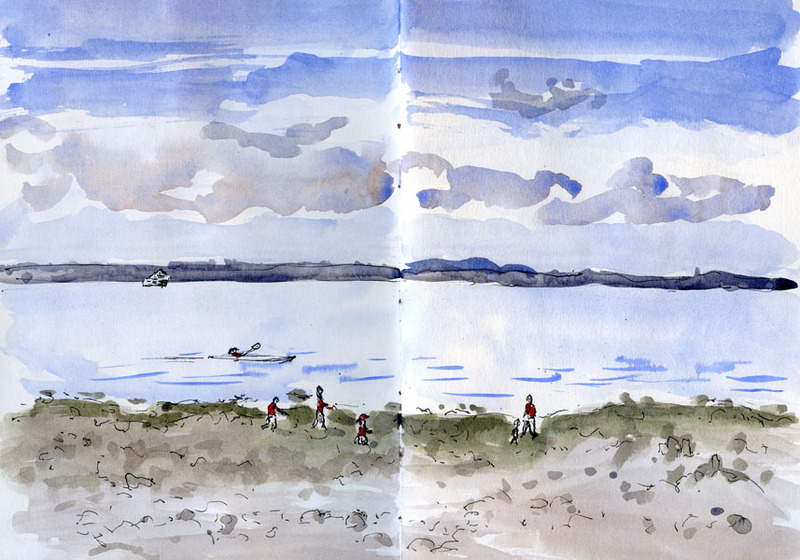 The past few weeks have been the lowest low tides of the year. 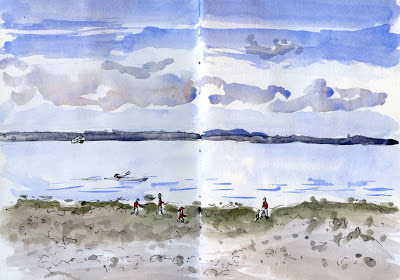 Yesterday morning I went to Richmond Beach to sketch beachcombers in the warm sunshine. 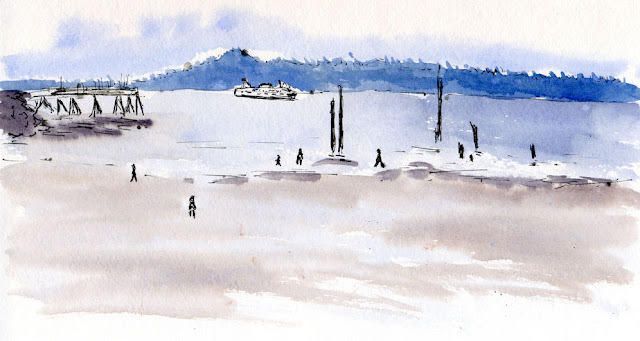 Today I joined Seattle Urban Sketchers in Edmonds, where it was spitting and drizzling off and on. Really lovely! Especially love the one with the ferry. Just the right amount of detail.